If you are looking for a comprehensive guide on the differences between not for profit accounting and its for profit counterpart, you have come to the right place. Not for profit accounting entails different tax laws than for profit, especially when it comes to reporting finance sources, so it is imperative that you learn these differences. As an accountant, you probably had to learn these nuances in your studies. However, it is easy to let some knowledge slip through the cracks over the years of your career. Let this post serve as your refresher on the differences between not for profit accounting and for profit accounting. The first, and most obvious factor that separates not for profit accounting from for-profit? Tax exemption. Not for profits are considered to be operating for the welfare of society. Because of this, they are exempt from most, not all, taxes. The government does this as a way of helping non profits stay afloat. For profit business, on the other hand, have to pay taxes on all revenue, property, etc. If you would like more information on the tax exemption differences between not for profit accounting and for profit accounting purposes, visit www.irs.gov. Another huge difference between not for profit accounting and for profit accounting is the presence of contributions. 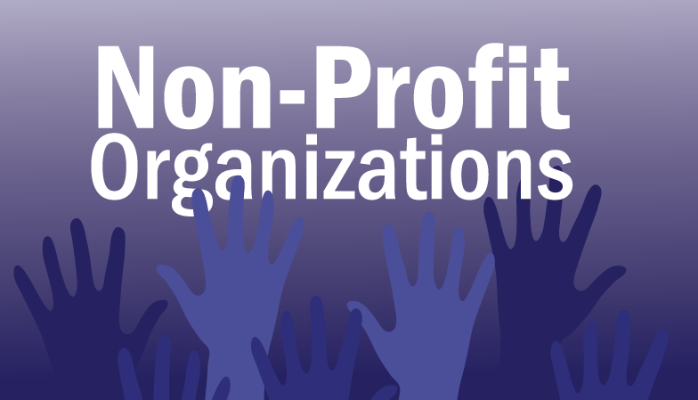 Both non profits and for profits are able to earn money in exchange for a service. However, it is only in not for profit accounting that you will see contributions. A contribution, as you surely know, is a cash infusion that is not in exchange for any service or good. These are not present in for profit organizations. This is similar to annual investment reports, which are not required in non profit finance. These contributions come into play in not for profit accounting and make a whole slew of different forms necessary. If you are an accountant who would like to make the move over to not for profit accounting, make sure to familiarize yourself with the necessary contributions forms. Because not for profits take in contributions, this causes another tax filing requirement that is not present in for profit businesses. Not for profit accounting entails maintaining accountability for all contributions received throughout each fiscal year. This is vital to ensuring a successful not for profit. Each and every donor, donation amount and relevant information must be entered into a spreadsheet and saved. This information will be required come tax filing time. It will also be necessary if your non profit should ever get audited. Accountability is probably the largest difference between not for profit accounting and its for profit counterpart. Another, seemingly unimportant, difference between not for profit and for profit accounting is the names of several tax forms. It may seem like a silly thing now. However, if you do find yourself in the business of not for profit accounting, you do not want to waste time filling out the wrong forms, just as you would not waste money on goods and service tax. In not for profit accounting, a Statement of Financial Position is equivalent to a for profit Balance Sheet. Likewise, a Statement of Activities is equal to an Income Statement. Finally, a for profit Statement of Changes in Owners’ Equity is the counterpart to a Statement of Changes in Net Assets for not for profit accounting. Remember these various names for similar forms. That way, you do not waste any time come tax season. Although the aforementioned differences will still exist between not for profit and for profit accounting, you would be wise to get ready for changes to come. The Financial Accounting Standards Board, or FASB, announced new non-profit accounting standards in the summer of 2016. However, these changes were not set to roll out until fiscal years starting after December 15, 2017. Thankfully, this allows you time to familiarize yourself with the new standards. Be sure to review the new FASB not for profit accounting standards after reading this post to ensure you are prepared to make the change. If you are an accountant looking to make the switch over to not for profit accounting, consult this post. Allow this brief overview of the differences between not for profit accounting vs for profit accounting to refresh your memory. It will help you to be prepared for your next big career move. If you do not know the exact details regarding tax exemption for non profits, make sure to visit the IRS website. Also, make note of the importance of contributions and accountability for those donations. You would be wise, as well, to jot down the different form names that you will be needing. Once you have reviewed this guide, you will be well prepared for a career in not for profit accounting.